Campbell Clinic’s doctors wrote the book on orthopedic surgery. Literally. For more than seven decades, the staff physicians at Campbell Clinic have published what has become widely regarded as the preeminent international text on orthopedic surgery, Campbell’s Operative Orthopaedics. The premiere edition of Campbell’s Operative Orthopaedics was written in 1939 by Dr. Willis C. Campbell and has been revised and updated by physicians on our staff every five to seven years since. Today, the text is written entirely by Campbell Clinic surgeons, with The Campbell Foundation providing all the necessary research, editorial, graphics and clerical support for the publication. Edited by our Drs. 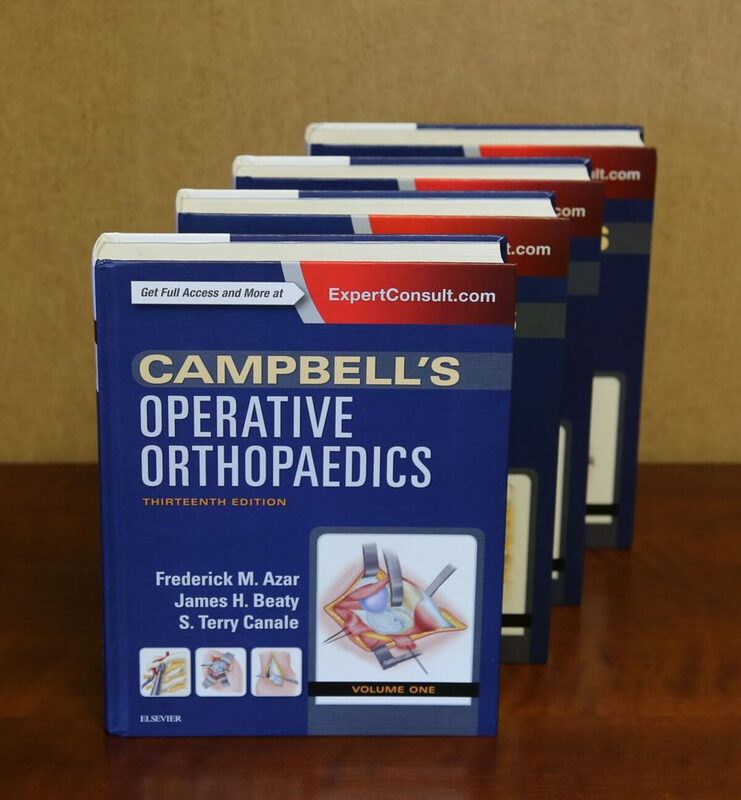 S. Terry Canale and James H. Beaty, and authored by more than 40 other physicians here, Campbell’s Operative Orthopaedics continues to define the specialty, guiding readers through when and how to perform every state-of-the-art procedure that’s worth using. Often called “the definitive orthopedic surgery reference,” the four-volume 13th Edition published by Elsevier is the most recent version of the textbook, and it was released in 2016.